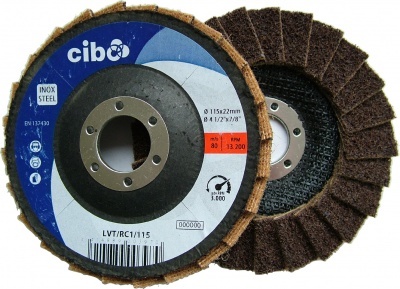 Applications: Designed and patented by Cibo Abrasives, specialists in stainless steel finishing products, Rapid Combi-Discs (RCDs) will remove a tig weld and leave a fine brushed or satin finish in one operation. 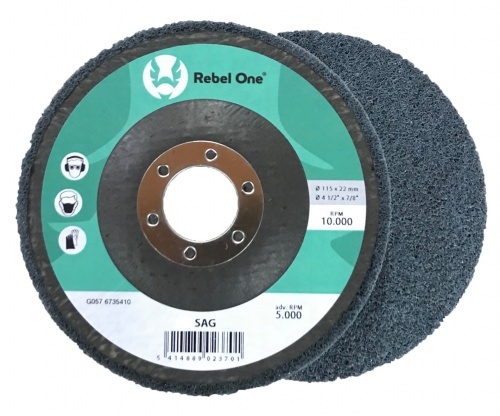 They are also useful for finishing angles, improving rough surfaces and refining coarse grinding lines. They are most effective on metal polishers, set at around 6,000rpm, but they can also be used on full speed angle grinders. They give much more controlled material removal than standard flap discs and low heat generation. The ultra-coarse grade RCD is a great solution to grinding aluminium due to its cool running and resistance to loading. 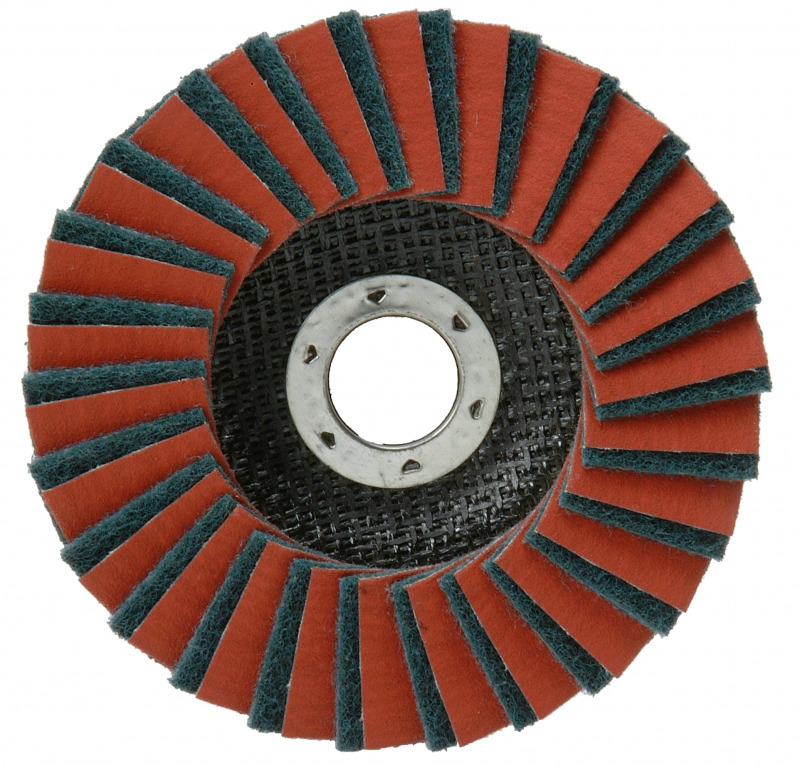 Alternate layers of selected coated abrasives and non-woven surface conditioning material. Available in ultra-coarse (controlled grinding), coarse (brushed finish), medium and very fine (satin finish). Recommended speed: 6,000rpm. Max speed: 115mm 13,300rpm, 125mm 12,200rpm. Complete with backing plate - no backing pad required. These unitised discs are often known as pre-polishing discs and can save a lot of traditional stages in the metal polishing process. 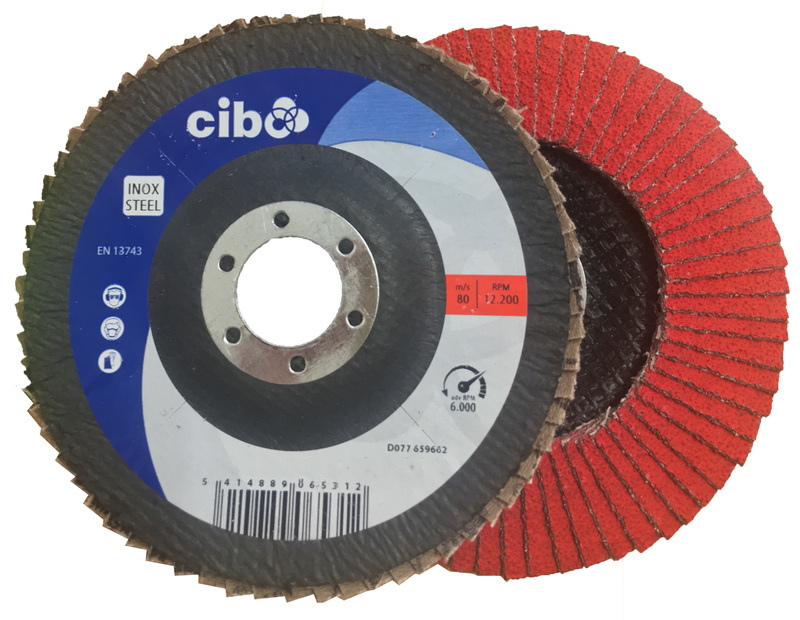 Surface conditioning flap discs give controlled abrasive action, removing light coatings and leaving a bright finish.